Benefit Cosmetics online now on Luxola Singapore! I'm pretty sure the San Francisco brand Benefit Cosmetics needs no introduction. Some of the bestselling products from Benefit include they're real! lengthening mascara, benetint cheek & lip stain, hoola bronzer and the POREfessional face primer. 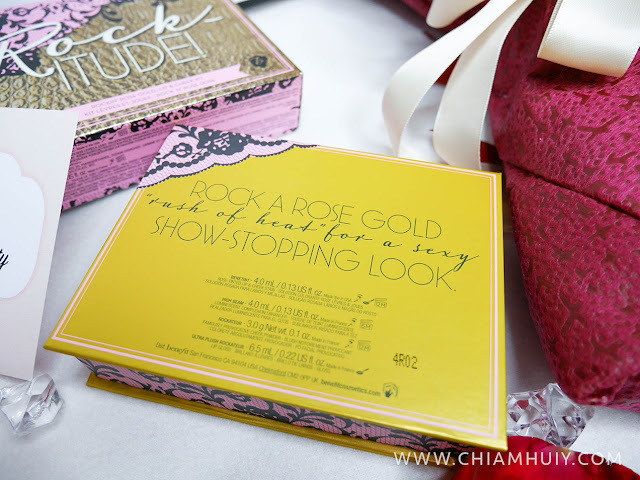 All these quirky and interesting names and packaging definitely leave an impression to us, and of course the cosmetics itself performs great! 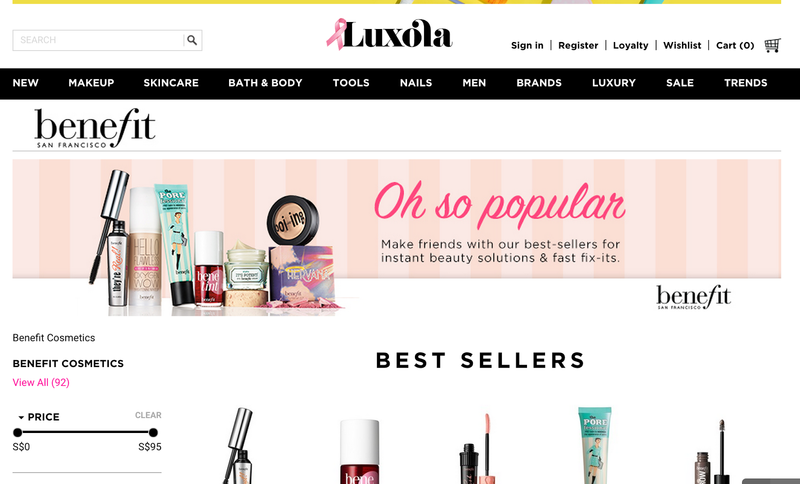 If you are a huge fan of Benefit Cosmetics, you'll be thrilled to know that Benefit Cosmetics is now online on Luxola Singapore! 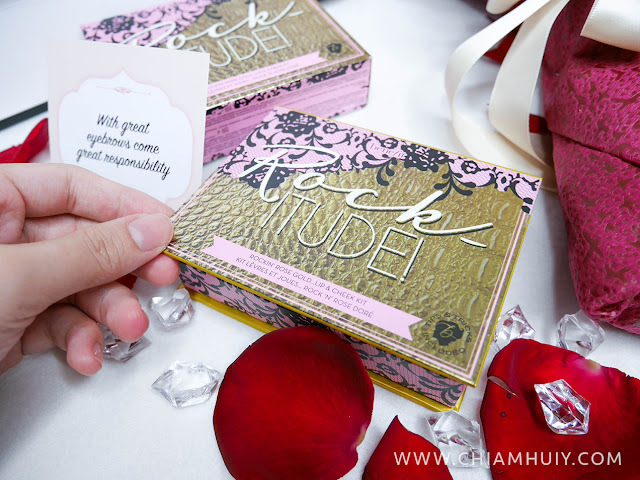 Here I have the Rock-itude box which contains miniatures of Benetint Lip & Cheek Stain, High Beam Luminescent Complexion Enhancer, Rockateur Famously Provacative Cheek Powder. 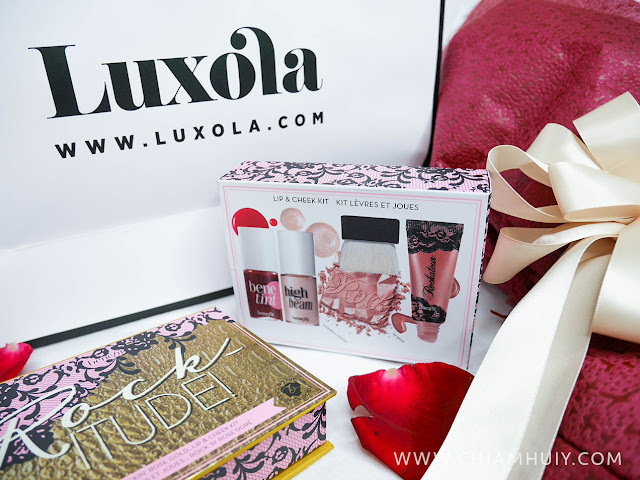 and Rockateur Ultra Plush Gloss. Nicely packed into a box which you can easily bring abroad. The Rock-itude box also includes instructions to guide you along while applying the cosmetics. 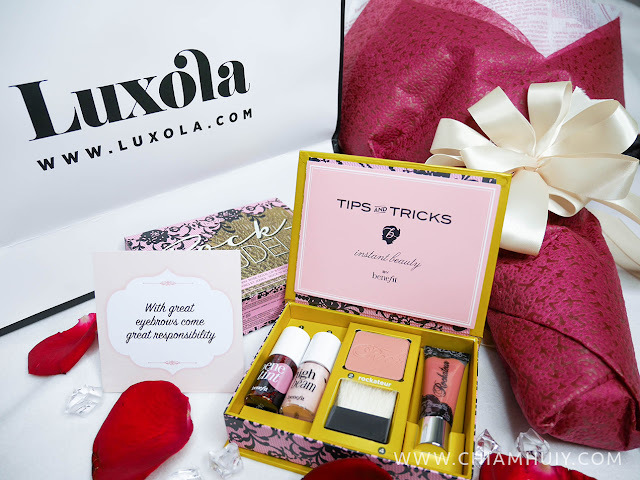 This box serves great is you're heading out for a night date. The High Beam Luminescent Complexion Enhancer is perfect for highlighting the high points of your face like the cheek bones, so that your face looks more dimensioned even under a dimmed setting. 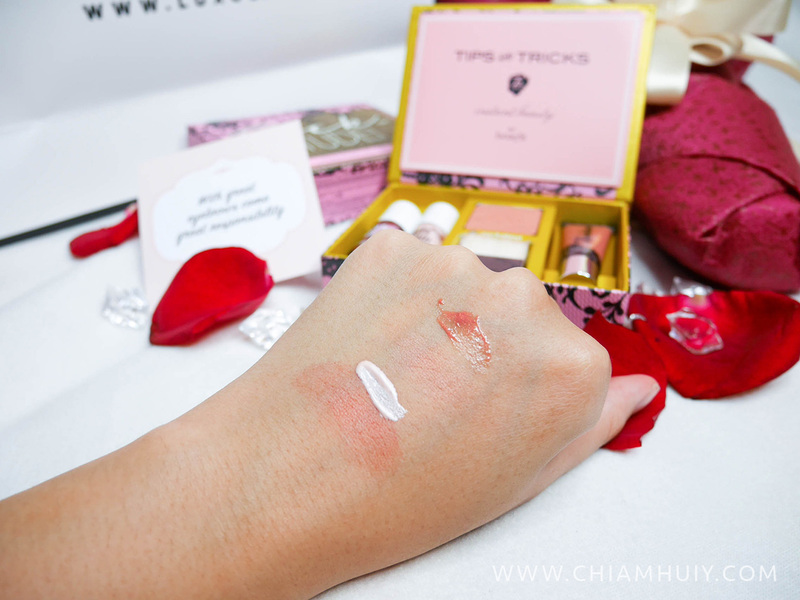 I definitely adore the Benetint Lip & Cheek Stain duo-function so that I don't have to carry so many things around! If you prefer a smoother powdery finishing, the Rockateur Famously Provacative Cheek Powder will be better. Finally, don't forget to plump up your lips with Rockateur Ultra Plush Gloss! 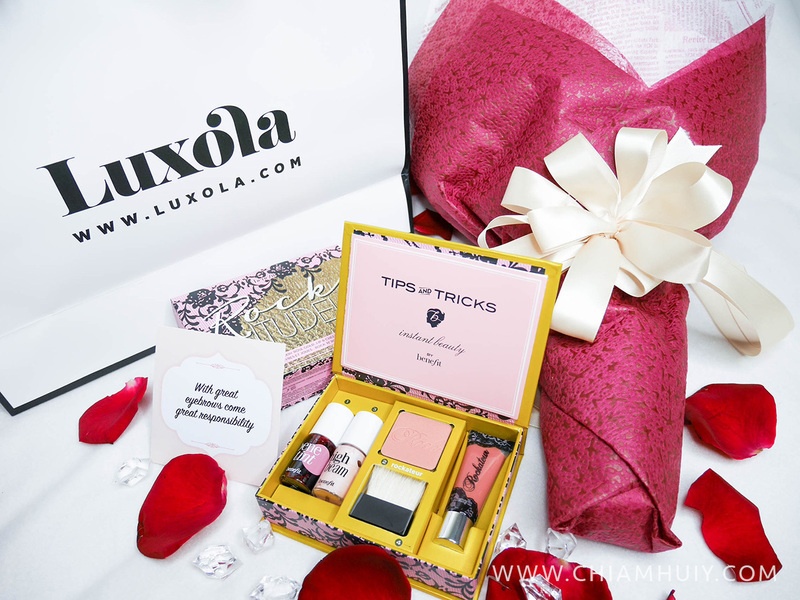 If you already can't wait to get your Benefit Cosmetics, hop over to Luxola x Benefit now!